0.3 oz travel size packet. Flavored fizzy drink mix. 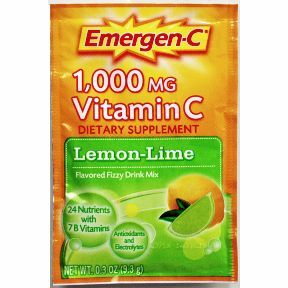 1,000 mg vitamin C. 24 Nutrients with 7 B vitamins. Antioxidants and Electrolytes.